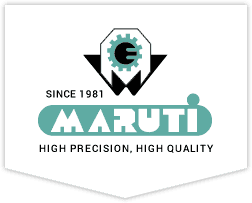 Maruti Pump - Maruti Engineering Works (MEW) is a leading manufacturer of Rotary Gear Pumps, offering world-class solutions to clients from across the industry. Founded in 1989 and based in Ahmedabad. Maruti Engineering Works (MEW) is a leading manufacturer of Rotary Gear Pumps, offering world-class solutions to clients from across the industry. Founded in 1989 and based in Ahmedabad. “Maruti Engineering Works” is one of the most famed manufacturers, exporters, suppliers and traders of top quality Rotary Gear Pumps. Our comprehensive range of gear pumps include Rotary Gear Pump, Rotary Twin Gear Pump, SS Rotary Gear Pump, Lubrication Pump, and Fuel Injection Internal Gear Pump. All these pumps are fabricated after deep research work based on the new market developments and customer's requirements. Our Rotary Gear Pumps and other types of process pumps are designed stringently conforming to ANSI and API Standards, so are featured in optimum performance, corrosion-resistivity, top level of safety precaution, stability, maximum operating capacity and interchangeability, besides the less level of use & tear of the Gear pumps. Our team of engineering personnel draws on leading-edge technologies and innovative designing mechanism, furthermore to conducting test on prototype and assembly of the equipment. Thus, our all models of pumps go through the rigorous inspection and validation of mechanical and hydraulic characteristics of pumps. We also shed concentrated focus on process improvement as well as manufacturing infrastructure up gradation in order to enhance the design and performance standard of the pumps. We have been successfully offering technical service to all kinds of pumps as well as ensuring optimum client services including on-time delivery and recommendation for the selection of the best solutions. Since 1951, Valcor Engineering has designed and manufactured fluid control valves and related components for some of the most demanding applications. SETARAM is a leading manufacturer and supplier of high-performance thermal analyzers, calorimeters, gas sorption and high pressure mass spectroscopy instruments. We are a full service blacksmith and artisan specializing in ornamental iron work, railings, and all things metal and infused wood. Clarke Engineering is dedicated to providing the best possible comfort solution for your home or business.